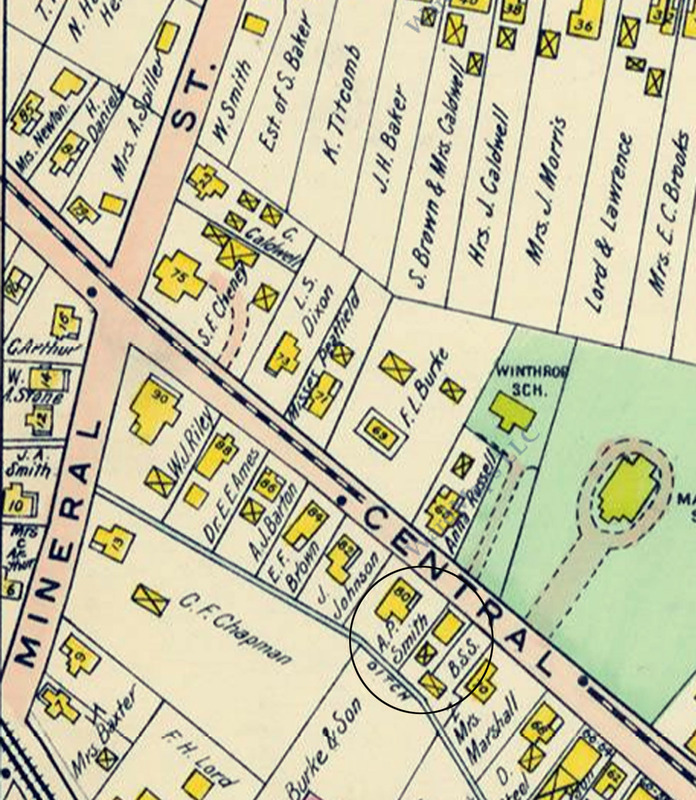 In the late 19th Century/early 20th Century, over a dozen similar houses were built on Central, Mineral, Washington and Brown Streets. 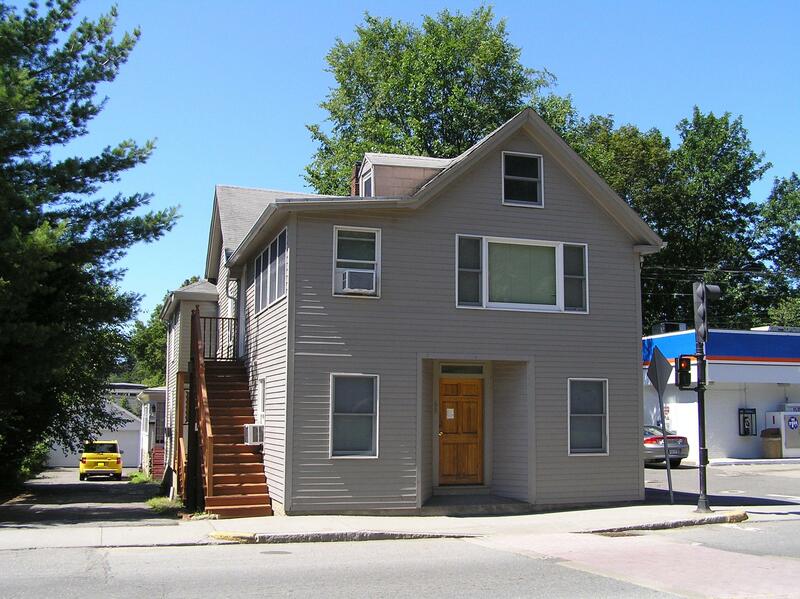 Jim Martel informs us that when he was young, he watched a house that was at the current location of the Cumberland Farms being moved to Mineral Street. 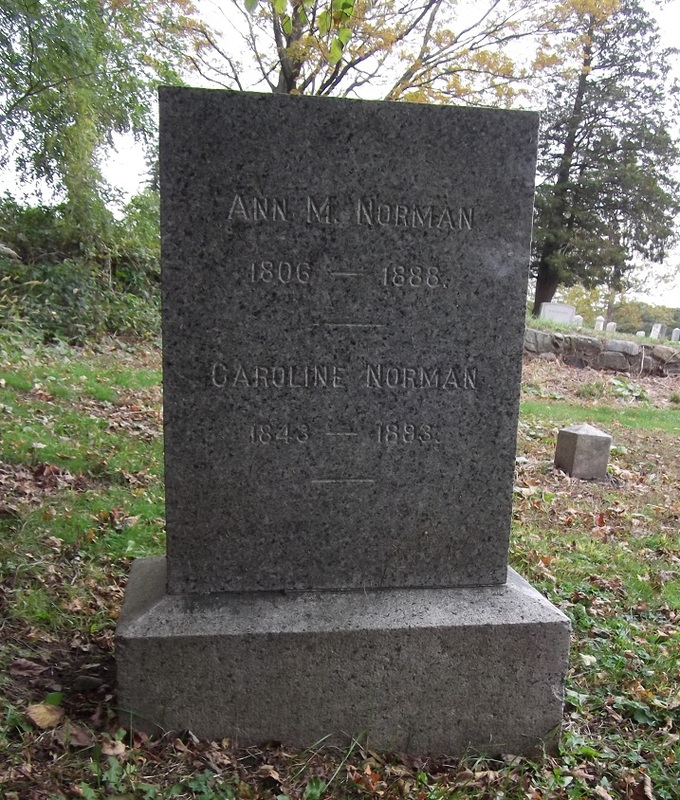 The house has been identified as the home of Caroline Norman (1848-1893), constructed by 1884. 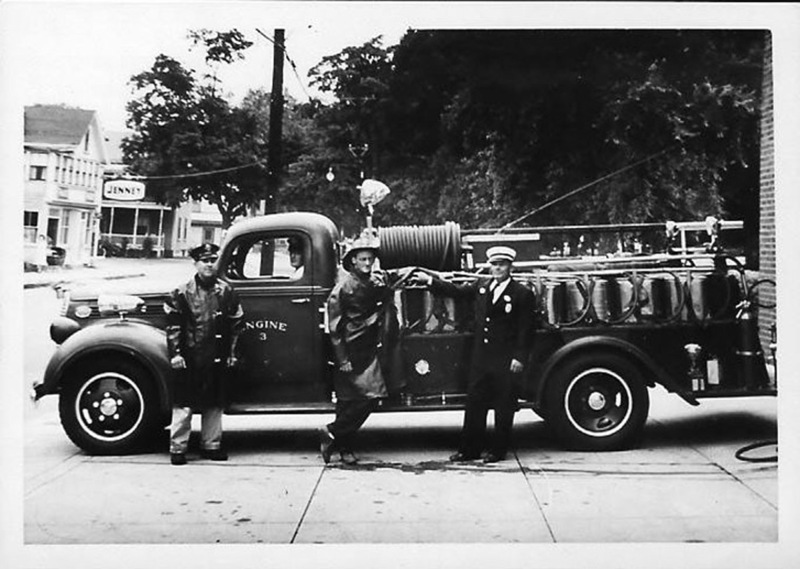 The Ipswich Fire Department. The Jenney gas station is on the left, and the house that was moved to Mineral Street is directly behind it. The following photos of that operation were shared by Mim Frost, given to her by Bernie Spencer. 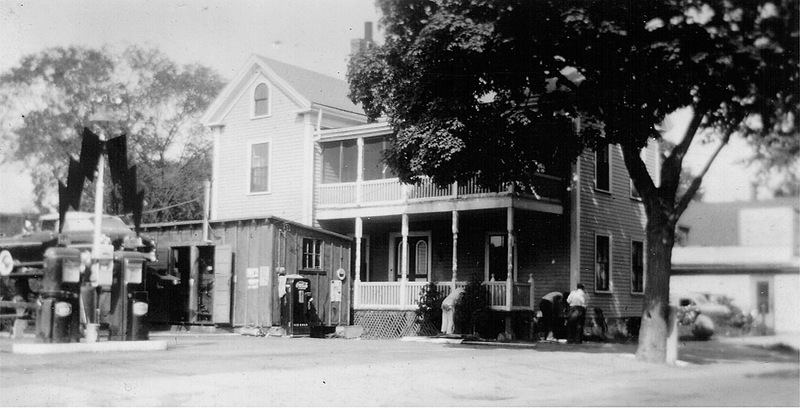 A small service station already existed next door, and the house was moved so that the present Cumberland Farms building could be constructed. The building on the right preceded the laundromat. The attic window in these two photos helped identify the location of the house on Mineral Street. The entry doors are identical to the Isaac Potter house at 82 Central Street, which still stands on its original location. In this photo we can see that part of the foundation has already been moved. 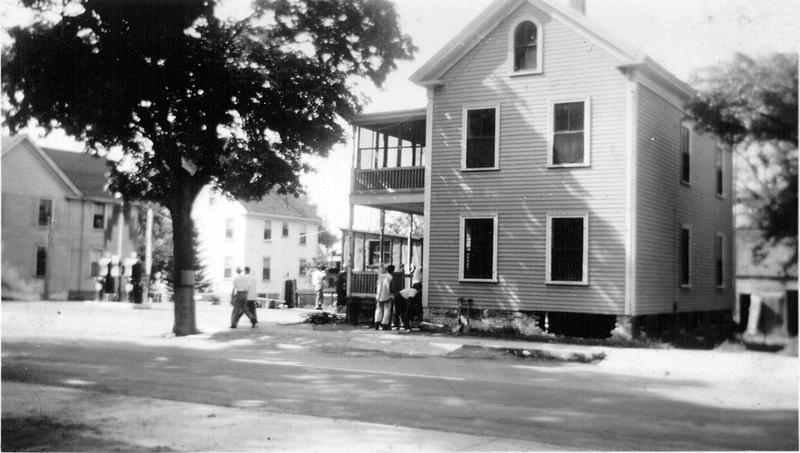 The building on the far left still stands at 68 Central Street, as well as the house behind it. 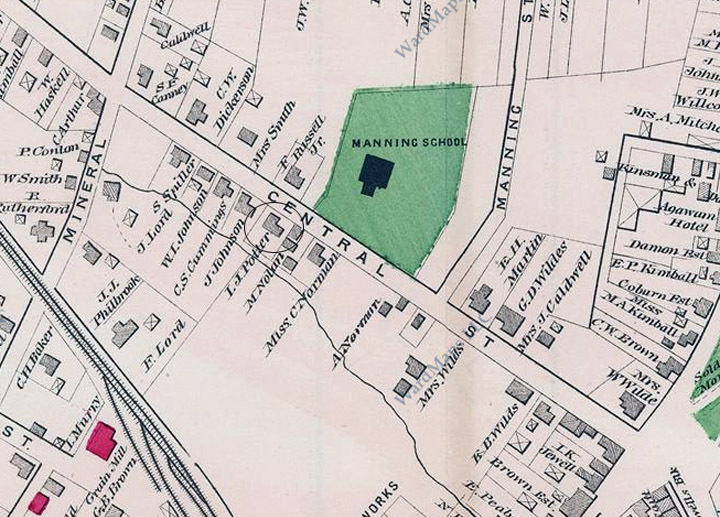 The 1884 is circled in this closeup from the 1884 Ipswich map. the next building on the right is the business owned by M. Nolan, That site is now the laundromat. The Carrie Norman house is beside it, across from Manning School. 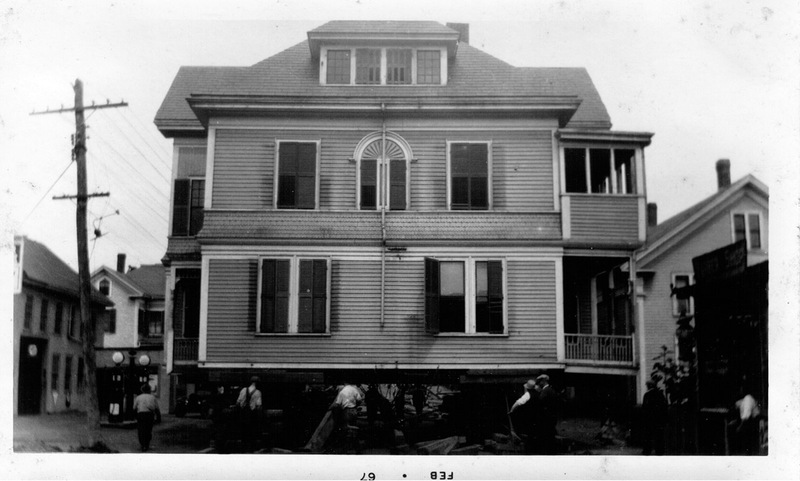 This house being moved is from the same collection of photos, but has not yet been identified. The building on the far left has gas pumps but are of an older type than in the pictures above, which also do not show utility poles on their side of the street.